Last weekend I got a wild hair and went to a local estate sale. 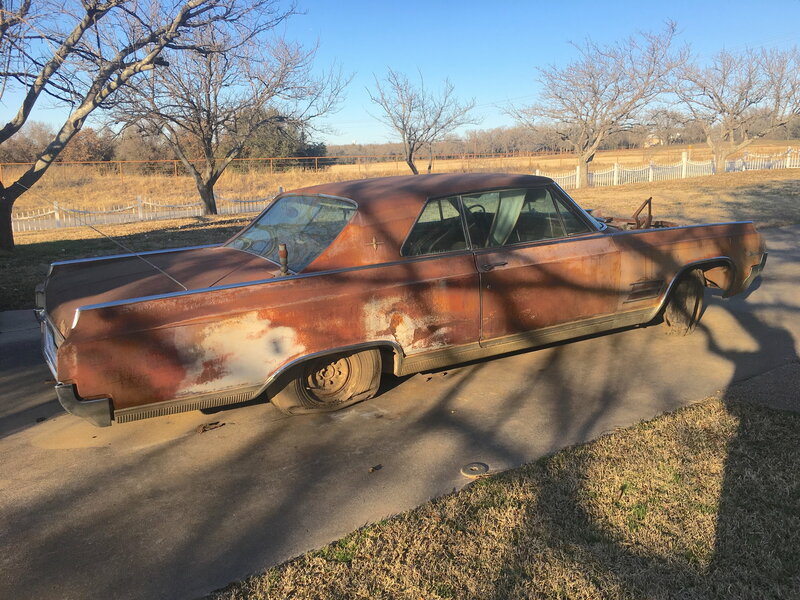 It was the last hour of the sale, so I bought a 1964 Oldsmobile Starfire that's been sitting in a field for years and the contents of a barn for a low ball bundle price. 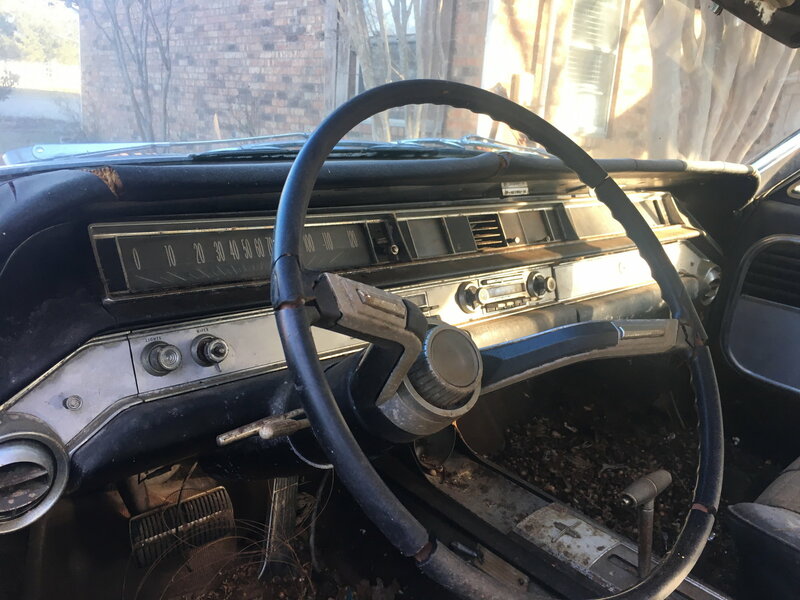 The Starfire is in rough shape, complete with rodent turds, but she's all there as far as I can tell except the AC compressor and the driver's side mirror. Inside the barn were some engines, and turns out one of the engines is a Oldsmobile 455 (another was a 302 out of a 69 Camaro). I don't want to offend anyone, but I want to be honest and say I'm not really motor head or really loyal to the Oldsmobile brand. I like classic cars (except MOPARs of any flavor) and can talk a bit about it, but get lost when guys start talking about torque and gear ratios. I grew up in the 70's so as far as Oldsmobiles go, I really like 442s. And Oldsmobile bona fides, as minimal as they are, Dad had a '68 Olds 88 sedan that my uncle begged him to sell to him and a '78 Cutlass he bought used for us kids to drive to school that I used to kill my first buck, a 6 point as I recall...Oh, and I know Oldsmobile made trucks for a time including the Beverly Hillbillies' truck. I hope that's enough to be able to stay on this forum. Anyway, I don't plan on keeping either the Starfire or the engine (need money, honey). I drive a 1971 Chevy C-10 named Mandy Jo that someone slicked up, but I want to take her back to her Cheyenne roots. I hope to get some advice on how to price the Starfire (she's Mindy Jo) and engine for a swap meet coming the last weekend in February. Please help me find Mindy Jo a good home. I appreciate any advice you all can provide. Welcome from Marble Falls Glenn. If you can post up some pics when you get the chance that will help. On the 455, check the letter on the heads for us if you would. Above #1 and should be the same above # 8. Welcome to the site, pictures would help determine a more accurate estimate of worth. Welcome to the board from across the Red River. I may be interested in the 455. What's the best way to get ahold of you? Welcome to ClassicOldsmobile. Like they have said above, get some pics on here and the help will come. Good luck with making some money. 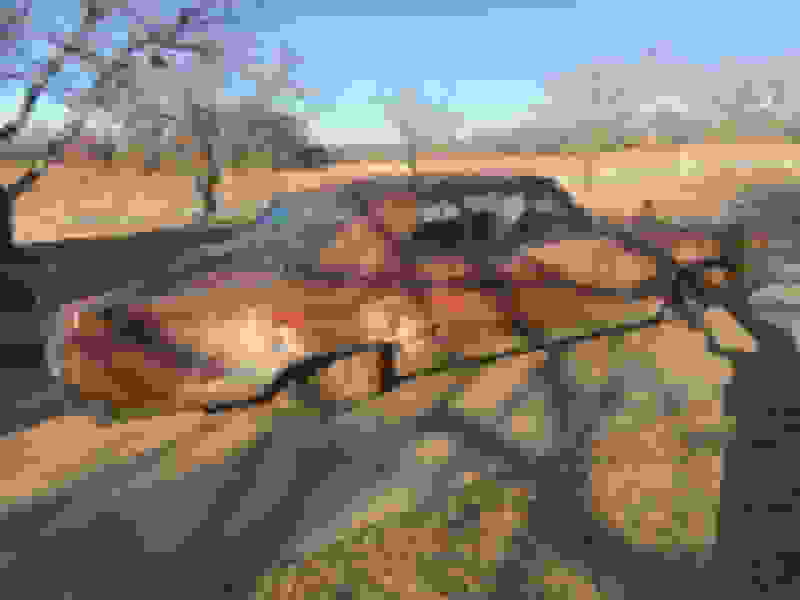 Maybe someone here will have interest in the car. First, a correction. I do NOT have a Camaro 302. 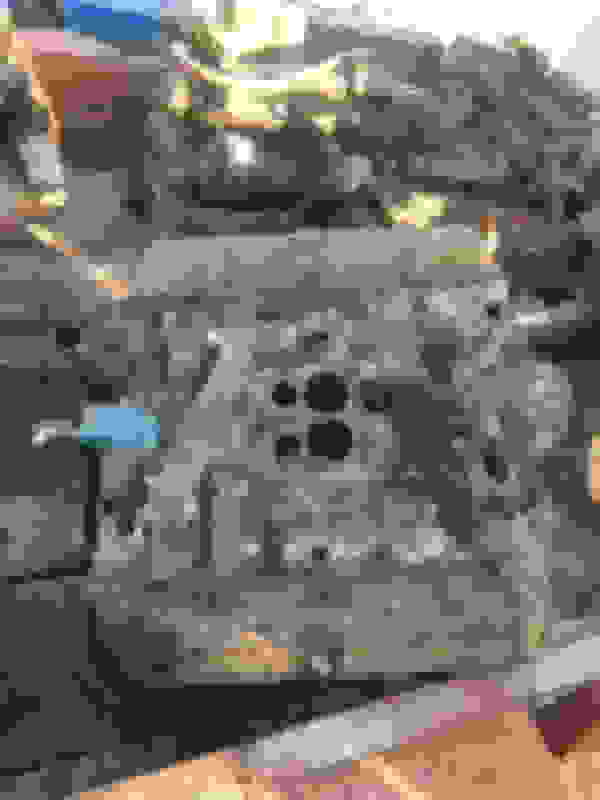 Turns out it is a run of the mill 350 that shares a block casting code with a 1969 Z-28. And a few million other engines, lol. Thanks to Steve in Lubbock for setting me straight. Based on what I've seen on CO, there's not a lot of love for the Starfire. Am I mistaken? Here are some pics of my Starfire. What I've noticed so far is she's missing her AC Compressor and driver's side mirror. 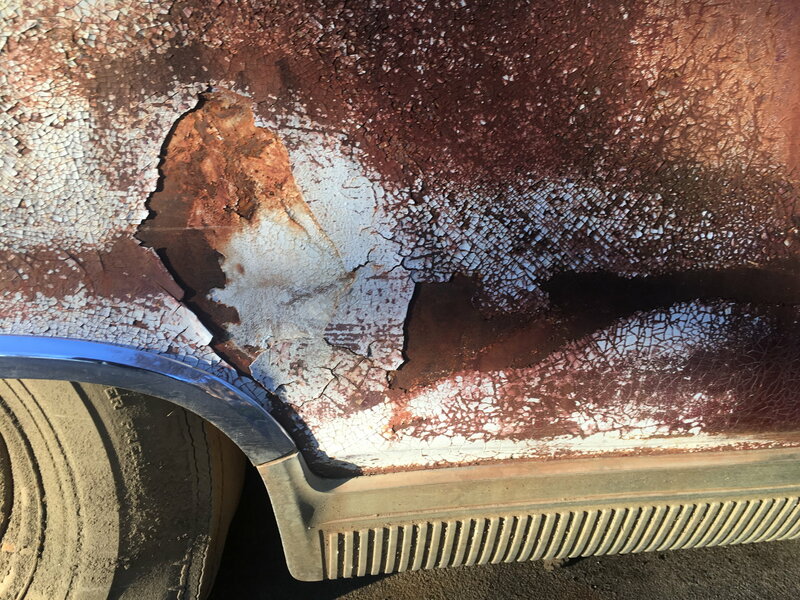 She's covered in surface rust and there are really bad spots behind the doors on both quarter panels. Her 394 is stuck, wiring was likely rat food, and the interior is trash. Her hood was stuck open because of a frozen hood hinge. She has to catch a ride on a car hauler until I can get some tires on her, then she'll get upgraded to roller status. But her body is straight, all the glass is good, trim is all still there. Even the radio antennae managed to survive somehow! I can't part her out because the Mrs. can't stand another woman at home taking my attention. She's gotta go (Mindy Jo, that is). Any idea what I should ask for the old gal? Also are pics of my 455. It's a smog hog from 1974. Any idea of value on this one? Last edited by kjxjov; January 31st, 2019 at 03:00 PM. Your pics didn't come through. Do you have them online at Photobucket or were you trying to upload them directly? Just read through your updated guide. Seems like you put a lot of work into it. Nice. Maybe vBulletin is hiring. Where are you at in the CC area? We have our camper set up near EI. Hi Bill - Thanks for the accolade. It isn't finished, yet - working on it. Shouldn't take much longer. Allan suggested the Posting Pictures thread needed an uplift. Since it's the cold winter months, I'll have some extra time in the indoors warmth. Since so many others provide such excellent informative input on CO I thought I'd contribute in another way. Allan's Posting Pictures thread hasn't been updated since 2016 & many changes have taken place, so - why not. It certainly assists Newbies. vBulletin - right. I have so much respect for the working class; yet, I've found my greatest achievements can now be found on the golf course. I'm just down the road from EI in Beaufort. When the weather breaks this spring, if you're in EI give me a shout. Great ice cream parlor there I enjoy. Last edited by Vintage Chief; January 31st, 2019 at 03:22 PM. Well it looks like a parts car to me. Too much rust. too much body work, and a stuck engine. all bad news. It may be all there but all of it needs major expensive work. 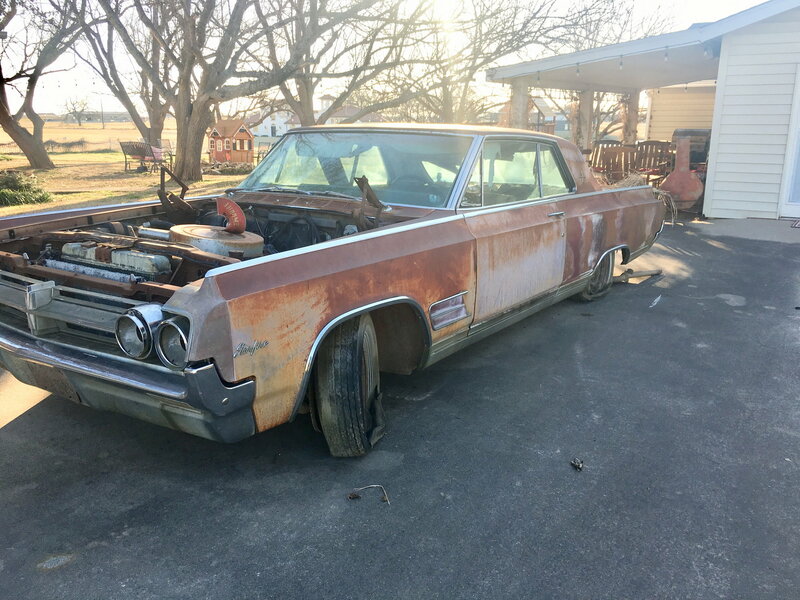 If were a 442 or a W30, somebody would be all over it for restoration. The truth is if somebody restored this car at a minimum their restoration costs would be probably four times what the value of the car would be restored. There are a limited number of people that want these cars. If you decide to part it out I might have some interest in the bucket seats. Looks like it has a tilt steering column, that , the bucket seats and console might be of interest to someone who has one of these big cars. I own a '64 Starfire convertible, so you have a very limited audience for sure. If it was a '61 or '62, you would have a bigger market. Your car is roasty-toasty, but I also see some value to someone out there, particularly if the bumpers are solid, as good cores are hard to find. I'd be interested in a few small parts if you were so inclined to remove them. The interior light lenses on the bottoms of the doors and the right rear tail light lens. Is the radio AM/FM, or just AM? Also, to get yourself more coverage, join the Facebook group Oldsmobile Starfire Owners 1961-1966. Once you have decided on a price, post an ad there and in the Classifieds section of this website. Make it what you want. Lots of work either way. Would be cool to see restored to a driver condition. Good luck. NICE CAR! Good to see some love for the Starfire. The radio is AM only. If I can't sell my car at the upcoming swap meet, I may piece it out. You'll probably be better off financially by parting the Starfire out. The 4 barrel intake manifold, and drivers side exhaust manifold are always in demand. If the chrome rockers are good and fender molding is good all the way around, I'd like to get those from you. Some more pictures would be great and figure shipping to 28120. Thanks.